An alcoholic drink is beer, wine or liquor, typically made from grain, potatoes or grapes. Forms of beer and wine have been fermented for thousands of years in many cultures; distillation to create a liquor was invented by Arabs around A.D. 800, and quickly spread to Europe and Asia. Liquor is derived from fermented grains or other plants with a high starch content, that are then distilled to increase the alcohol content. Liquors such as rum, tequila and vodka are derived from molasses, agave and grain or potatoes respectively. Some liquors are aged for years to improve flavor. Alcohol has devastating effects on the health and well-being of people who drink frequently. The drinking of alcoholic beverages is surrounded by many rituals—and since it produced fighting and violence, by criminal controls. Alcoholics become addicted and are useful targets for taxation. The the 1840-1930 era, prohibition was a worldwide movement, especially led by evangelical Protestants, to stop the manufacture and sale of beer, wine and liquor. Alcohol is highly illegal in most Islamic countries, and if considered a sin or forbidden in some Protestant denominations. Taverns are public places that sell alcoholic drinks. The desired effects of drinking are a sense of euphoria, the easing of tension, stress and worry (the "happy hour"), and the relaxation of barriers among people to promote good fellowship. Too much alcohol results in intoxication or drunkenness (even death), impairment of speech, and aggressive outbursts that verge on violence. Alcoholism is an addiction to alcohol—the patient cannot stop himself. Programs like Alcoholic Anonymous use a semi-religious treatment program to get the person to never take another drink, for even one drink is a dangerous relapse. 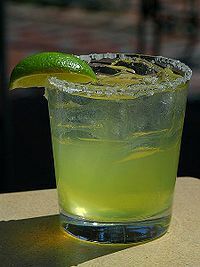 Alcoholic beverages contains ethanol (C2H5OH), which is an addictive psychoactive depressant, although the initial effects may resemble that of a stimulant. Alcohol consumption tends to lower inhibition, slow reaction time and decrease dexterity. Over-consumption can result in loss of consciousness, coma, or even death. Alcohol has been found in society for thousands of years and in some cases was used in a medicinal capacity. Alcoholic drinks come in a multitude of varieties. Beverages are considered "low-alcohol" if they contain less than 7 percent alcohol. Beer is a drink produced through the fermentation of malted grains and the addition of hops. Hops, which became popular in the 15th and 16th centuries, give beer its distinctive bitter taste and act as a natural preservative. Preservation was essential before the invention of refrigeration in the late 19th century. In most of the world, two large corporations—both based in Europe—dominate the market. Anheuser-Busch InBev (based in Belgium) has 25% of the global market. It bought out the American firm Anheuser-Busch in 2008. SABMiller, in London, bought out Miller's in 2002. However, there are several thousand locally owned "microbreweries" that serve local markets. There are also many types of beers available, each with its own unique brewing method and history. The most popular type of beer in America is the pilsner, noted for its light golden color due to the use of lightly roasted grains. Gaining in popularity are other types of beer such as porters, lagers, wheat-beer, and ales. Beer was discovered independently by many societies in the past. In ancient Egypt, beer was used to help provide the calories needed and keep the lower classes happy. Within Christianity, beer was often made by monks who used the heavy ales to ease hunger pains while fasting. In medieval Europe, beer was frequently the main drink taken by the people, as healthy and wholesome water supplies were not always easily available. Wine is usually made by the fermentation of grapes, but can be made using other fruits, or other parts of plants. Wines, like beer, come in a variety of types with different bouquets and flavors. In ancient times there were many gods of wine that were worshipped (Bacchus, Dionysus, and Geshtin for example). As wine was part of the holy traditions in both Jewish and Christian customs it was important that this wine was not blessed for other gods (which would make it unclean). Kosher and sacramental wine was watched to be sure that it was properly handled and no idolatry was preformed with it. Roman Catholics believe that wine was transformed (and continues to be transformed) into the blood of Christ during communion. Jesus not only served wine at the Last Supper but performed his first miracle by turning water into wine during the wedding reception at Cana (John 2:1-11). Wine is mentioned 185 times in the Old Testament and 26 times in the New Testament. As the Evangelical Dictionary of the Bible (1984) concludes, "No evidence whatsoever exists to support the notion that the wine mentioned in the Bible was unfermented grape juce." Some Muslims argue that Jesus—since he was a good Muslim prophet—would have converted water into grape juice because God forbids alcoholic drink. These Muslims find it "inconceivable" that Jesus would have produced a beverage that they blame for the "social and moral bankruptcy" of the West. In the 1840-1940 era, many Protestant evangelical churches crusaded against alcohol and supported Prohibition. A few denominations continue their 19th century prohibitions against drinking, such as the Seventh Day Adventist Church. Mormons follow a law of health known as the Word of Wisdom which includes abstaining from alcoholic drinks. Many Baptist churches, including Southern Baptist and Independent Fundamentalist Baptist churches also continue to prohibit consumption of alcoholic beverages, and use pasteurized grape juice instead of wine during their communion services. "O you who believe! Strong drink and games of chance and idols and divining arrows are only an infamy of Satan's handiwork. Leave it aside in order that ye may succeed." (Koran 5(Al Ma'idah): 90). Consumption of alcohol is banned in several countries including Iran and Saudi Arabia. Penalties for infractions are stringent and in conformity with conservative moral standards in Islamic states. ↑ Augustin Joseph Schulte, "Altar Wine." The Catholic Encyclopedia Vol. 1. (1907). This page was last modified on 20 April 2018, at 18:12. This page has been accessed 215,131 times.